Transform Uncomfortable Conversations into Stronger Relationships! 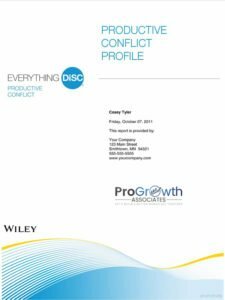 Whether you’re working with entry-level employees or a group of executives, the Everything DiSC Productive Conflict Program will provide everyone with effective strategies to overcome the challenges of workplace conflict. 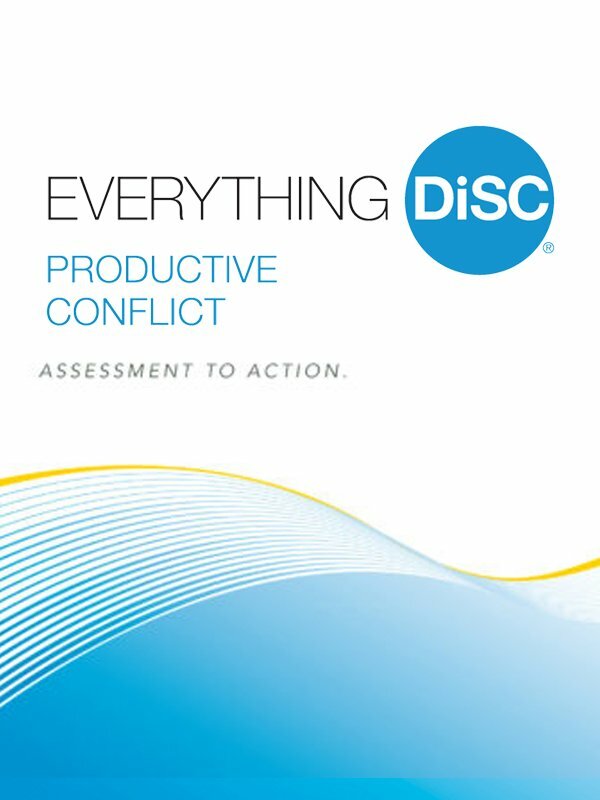 The Everything DiSC® Productive Conflict Profile is an online self-assessment that produces an in-depth, highly personalized 22-page report that highlights techniques to improve self-awareness around conflict behaviors. Your DiSC Style in Conflict: Participants explore their own DiSC styles and learn how to interact in conflict with people with different DiSC styles. Destructive Responses: Participants explore common destructive responses to conflict and why they and others might react this way. This valuable information can also relate to a conflict in non-work settings. Changing Your Response: Participants practice stepping back from and reframing their unhealthy thought patterns, allowing them to choose more productive responses to conflict. and see firsthand the actionable data you can get about candidates. This half-day classroom experience uses a research-validated learning model and combines engaging facilitation with follow-up tools to create personalized insights for participants at any level of an organization. This program is composed of three modules, including fully-scripted facilitation, engaging activities, and workplace-focused video. Participants discover how DiSC styles affect their own and others’ conflict behaviors. (90 minutes). DiSC Conflict Map: Participants identify both productive and destructive behaviors for each DiSC style. Comparison Report: Participants learn about the Everything DiSC® Comparison Report and how it can help them improve their relationships with others. Ideal for individual coaching or small group work. Insightful and robust 10-page research-validated reports can be created for any two participants—even people who have taken different Everything DiSC profiles, such as a Manager and a direct report who completed Everything DiSC Workplace. Reports illustrate their similarities and differences, potential roadblocks in working together, and practical tips for improving working relationships between colleagues. Unlimited access with all Everything DiSC profiles. An at-a-glance view of an unlimited number of respondents and their individual Everything DiSC maps. Unlimited access with all Everything DiSC profiles. 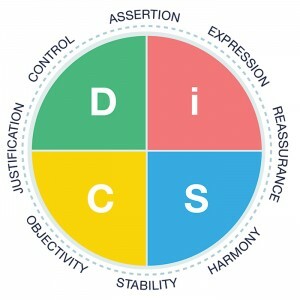 In-depth data on an individual’s Everything DiSC assessment to help facilitate a richer discussion about a participant’s DiSC style, including unexpected items. Unlimited access with all Everything DiSC profiles (excluding Everything DiSC 363 for Leaders). Ideal for pre-session planning to help craft strategies for working with specific groups and individuals. A composite of a group's DiSC styles, including the names and styles of each participant, and graphics that illustrate at-a-glance the distribution of styles within the group suggest ways to customize the delivery of the material or plan for breakout sessions to get the most out of the program. Sold separately. Examines the DiSC culture of a group, exploring the advantages and disadvantages of each style, its influence on decision making and risk taking, and its effect on group members individually—based on different DiSC styles. Sold separately. MyEverythingDiSC.com is a mobile friendly, interactive learning portal that is exclusive to the Everything DiSC solutions. An important capstone to any learning program, MyEverythingDiSC.com cements the lessons that your participants are introduced to within their Everything DiSC profiles and classroom facilitation, extending their learning into the future. This complementary tool actively incorporates the participant’s new DiSC knowledge into their daily interactions by offering a strategy for working and communicating with specific team members. Our experienced facilitators are ready to bring this solution to you. Contact us for Details.